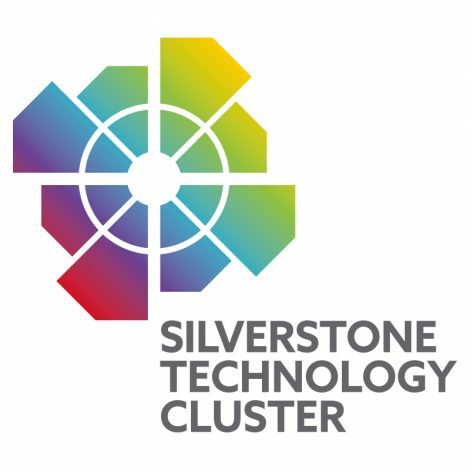 Following on from the launch of the SQW cluster report in June this year a new company – Silverstone Technology Cluster – has been formed to support the high-tech activity within a one hour radius of Silverstone Circuit. Silverstone Park developer MEPC along with Barclays, EMW, Grant Thornton, Hexagon Manufacturing Intelligence, Aylesbury Vale District Council and Cherwell District and South Northants Council have come together over the summer to agree a business plan and set up the membership-based, not-for-profit company. Brackley companies TotalSim (computational fluid dynamics) and KW Special Projects (integration of new processes and technologies) will join STC as the first full members and will advise the Board from a high-growth company perspective. Silverstone Technology Cluster is the cluster of high-tech companies identified by the SQW report which was published in the summer. Subsequently the Cluster has been warmly welcomed by both Government and the finance and business community. SQW is the highly respected economic and social development research firm whose findings first brought the ‘Cambridge Phenomenon’ to public attention. This week STC has launched a distinctive brand identity and new website (CLICK HERE). It has also appointed Pim van Baarsen as its Chief Executive Officer. Pim will be well known to those in motorsport, automotive and high-tech engineering for his previous work with the Motorsport Industry Association, renowned gearbox manufacturer Xtrac and Haymarket Exhibitions. His on-going role as Managing Director for CMA Marketing, a company specialising in marketing for high performance engineering and motorsport, adds to his qualifications. Leading the commissioning of SQW’s research and report was MEPC with partners Barclays and PwC. MEPC’s Roz Bird, Commercial Director for Silverstone Park, enthused: “I am delighted that we have been able to reach this stage this year given that the SQW report was only completed in first draft format in January. Jon Corbett, Director and Head of SME for Barclays in the South East Midlands and Cambridgeshire: “The publication of the SQW report earlier this year was a key milestone in demonstrating the existence of the Silverstone Technology Cluster. That was the first step; how we support the companies within the sector is a key element to the future prosperity of the area. “To do so we need to build an ecosystem that addresses the areas highlighted within the report to support not only the cluster firms but also the broader spectrum of businesses that are based here. The establishment of STC as an organisation to support this is vital, as it will concentrate on addressing the areas highlighted and support collaboration and promotion of the Cluster. Keep checking the STC’s new website in the coming weeks for more feedback from its other Board members. SQW’s report that identified the Silverstone Technology Cluster – titled The Evolution of the High Performance Technology & Motorsport Cluster – is available to order as are its executive summary and also a special publication of business case studies that were carried out as part of the research. CLICK HERE for further details.